It's never too early to start Christmas projects! It's Christmas in July! Get a jump on the holiday season. 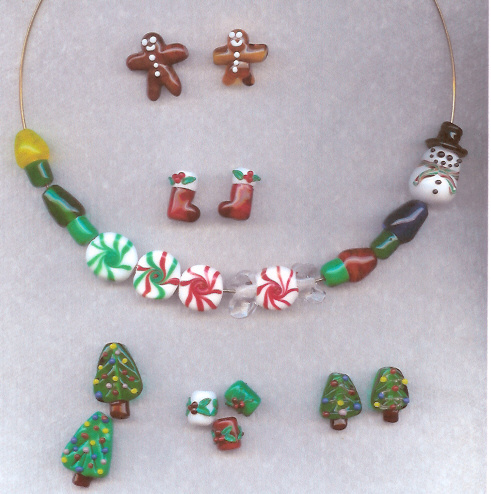 Set consists of 6 "cake" beads done in reds and greens. Also are 9 filler beads done in transparent red and emerald green. Price: $18 for the set of 15 beads. 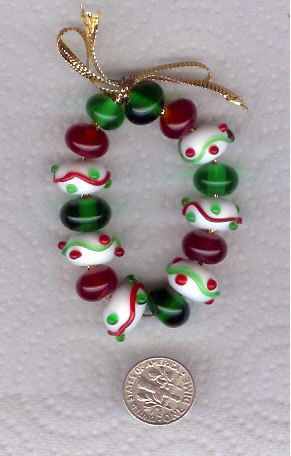 Some Christmas beads that are not listed in sets. "Chill" A cute snowman wearing a red, green and white striped sock hat and scarf. He measures about 22mm long by 14mm at the widest point. Also are 4 small transparent green beads and 2 transparent red beads. Price: $10 for the set of 7 beads. 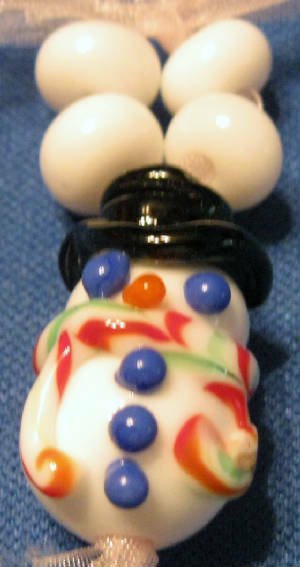 "Top Hat" An adorable snowman with a black top hat and a red, green and white scarf. He measures about 23mm long by 12mm at the widest point. Also 4 tiny white spacer beads. 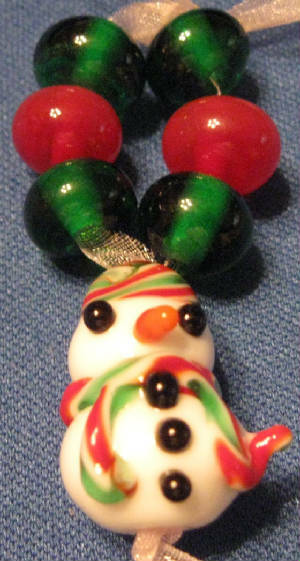 Price: $10 for the set of one snowman and 4 spacer beads.